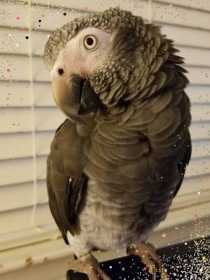 Please help my Timneh African Grey flew out of my house today. His name is Griffin & he's friendly - he will go to people. He's plucked across the upper part of his chest. Please help get my baby back home.